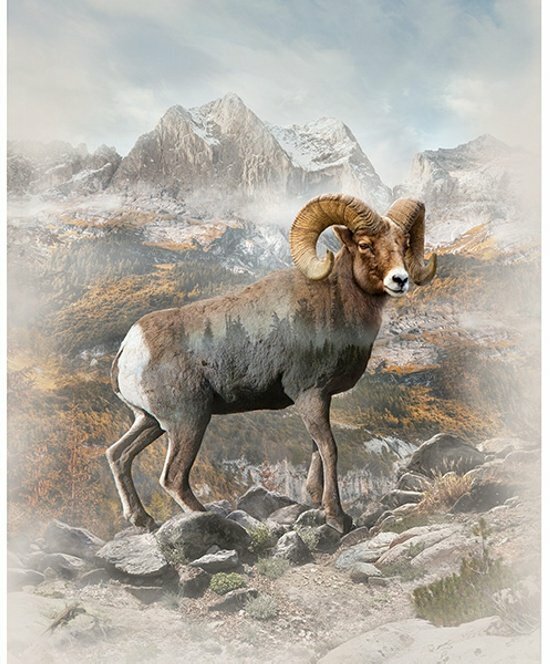 Hoffman Spectrum Digital Panel #266 Bighorn Sheep Q4536 20 Natural - Call of the Wild line. 100% cotton. Approx 34″ x 43/44"